Fluid, graphic, bold, yet classic! You tend to design your home that sprays fragrance of charm, grace, style and elegance. To make it happen, you need several home furnishing accessories. If you’re looking for home furnishing items online, HomeTown is your first home to find them. We have a variety of stylish, modern and traditional home furnishing online items for our customers. Believing that the way you furnish your home reflects the way you live your life, we bring you best-in-class products and items that keep your home neat and well-organized. Make the interior of your home the luxury of space with each of our online home furnishing items, comprising an array of bed linen, curtains, bath linen , bedsheets, pillow covers, mats , cushions, protectors , covers and inserts , bedding , a mattress, bathroom accessories, blankets, towels, curtain and other accessories. Choose from a wide range of attractive bedsheets, bed covers available at HomeTown, ranging from floral to digital, check, ethnic, stripes or printed patterns to suit your penchants. You can also choose from many beautiful pillow covers as well as pillows to complement the shades and patterns of your bed sheets. 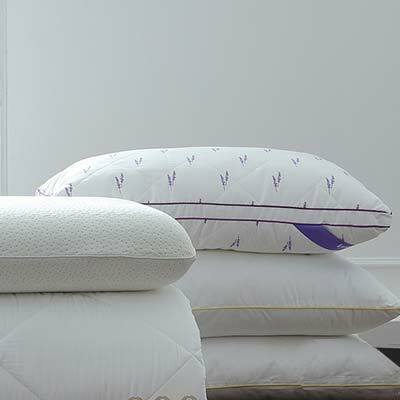 Opt for bolster covers, chilly winter with range of quilts and blankets. If you have a child, brighten up his/her bedroom with the collection of bedcovers curtains, towels, cushions and blankets in various prints and Disney themes. Besides, you can also check out bath accessories like towels, hand towels, towel sets, bathrobes, bath mats, pool towels, laundry bags and shower curtains , to do up your bathroom in style. HomeTown offers you all bed sheets like King Size Bed Sheets, Single Bed Sheets, Fitted Bed Sheets, Double Bed Sheets, and so on. Your bed without the right kind of bedding is incomplete. Browse various range of beddings such as Bed Covers, Comforters, A/C Quilts & Blankets, Quilts/Blankets, Dohars and much more. The floor of your house is as important as your bedroom. You can’t overlook it. HomeTown houses different types of home furnishing products to decorate the floor of your home. The range includes carpets, mats, attractive curtains to draw attention to windows and doorways. All these are home furnishing items are available online in varied sizes, colours and a number of colour combinations, designs and prints ranging from fabrics like polyester, cotton and silk. We give you the option to choose the latest trends with something out of the box like eyelet, string and pleated curtains. Go for several types of kitchen linen like table covers, table mats, aprons, napkins, mittens, linen sets, washing machine accessories, table linen sets, pot holders, storage stools, boxes and so on. Explore our endless products and home furnishing items accessorising living rooms, bed rooms, and kitchen in the best way is easily possible. So, browse through the home furnishings page, and you’ll happen to come across countless number of home furnishing items and products right under your budget. Why waiting then? Place your order day and give the interior of your home a facelift.